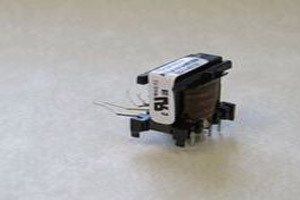 Fly-Back Bias Transformers with Flying Leads - Agile Magnetics, Inc.
With a unique design, specifically the capability to store energy in their magnetic circuit, Fly-Back Transformers are distinctly different from their counterparts. Used heavily in cathode ray tube (CRT)-based equipment, Fly-Back Bias Transformers remain trusted components for various electronic devices. There are a number of advantages that come with using flyback topologies. They tend to feature fewer parts for simpler operation, as well as a single ground-referenced switch and magnetic element. Flexibility is another advantage, with multiple outputs easily available as needed. Specialized units such as Fly-Back Bias Transformers require expertise when choosing a model for an individual product. Our team of designers and engineers is ready to assist in choosing or designing a transformer that meets your exact specifications. With many standard units and full fabrication capabilities, we can cover virtually any transformer requirement. Our facility is fully ISO 9000 compliant and our work meets or exceeds the industry’s highest standards. For more information about our Fly-Back Transformers or to request a custom quote, contact us directly.